She had been volunteering at The Acres, as the crew called it, for three years, and Dr. Anderson insisted it was time to move on. To finish that degree in business. Get a job that paid more. In the real world. For Erin, Healing Heart Acres was as real world as she wanted to be. Because it was the place that helped put broken people back together. Maybe I should start telling her how much I love giving the tour and that I never want to work with the animals again. The absurd reverse psychology trick made her smile. “Oh, glad to see you’re happy about your schedule,” Elsbeth Anderson said, stepping out of nowhere, catching Erin mid-grin. "As Erin and Wade's lives weave together, there are naturally some bumps along the road. It's all about how they work through those struggles to understand each other and to nurture the relationship they find themselves embarking upon, in spite of their personal struggles. This was the perfect book to curl up with on a cold and rainy fall day." “Choc milk,” the little brown-haired girl said, all excited. “Just like I promised.” Erin was completely at ease with the child, guiding her toward the counter to make their order. Unexplained disappointment surprised Wade, along with a slew of questions about Erin. Was she married? He hadn’t noticed a ring. But, since the kid looked so much like her, she was obviously a mother. A flashy silver sedan drove up and parked in the lot, and a father-son duo straight out of the pages of Gentleman’s Quarterly magazine got out. The son was sullen, casting a suspicious gaze, as if thinking this was the dumbest idea he’d ever heard of. Breaking with GQ chic, he wore a silly knit cap that stood out for two reasons, it wasn’t that cold, and there was a moose face on it. It took confidence to pull off the look. The father seemed determined, as many parents were when they arrived, usually after having Healing Heart Acres recommended by someone in the professional community—a teacher, therapist, or pastor. The parents often arrived hoping to find the magic solution to help their kid. Erin knew the look, even though it was on an exceptionally young-looking father’s face. After the usual welcoming remarks for the acres each person introduced themselves. She saved the father and son for last. He seemed pleasant enough, but got his story out fast, probably out of courtesy, unlike Mrs. Pimento who’d gone on and on. Yet, watching and listening to Wade excited Erin, a feeling she’d nearly forgotten where men were concerned. The immediate excitement he provoked in her, was also terrifying. Fortunately, she’d only have to deal with the younger version of him. Why did the man make her edgy? Probably because she’d rarely been around such a devastatingly handsome male. She glanced to Brent, sure to become as commanding as his father as he matured. He, unlike his attentive father, watched a ground squirrel instead of the corralled animals, probably not listening to a word she said. She showed everyone how to hold grain on a flat palm, so the sheep only ate the food and didn’t nibble their fingers. Everyone always got a kick out of that, except Brent, who clearly wasn’t interested. "If you are looking for a sweet, gentle romance to curl up with on a cool fall evening, then look no further. This book has all the feel good elements with likable characters and a believable story line." A sharp whistle pierced the air, the kind cowboys used on cattle drives. “Erin!” Wade’s voice called out before she stepped inside. She stopped, turned, waited for the tall, dark-haired and green-eyed man to reach her. Again, an unwanted reaction circled her skin. But she wasn’t here to swoon, she was here to be helpful. He obviously had a problem with his son. "Sweet Home Montana encompasses sweet, gentle, unhurried romance. It's a story of personal growth—stepping out of complacency and exploring a deeper, more satisfying life." To keep communication open, nervous as Erin was to have a conversation alone with Wade Conrad, she smiled and widened her eyes. “Need some extra encouragement?” Hoping he couldn’t pick up on her reaction to him. He was probably used to it with all women. How could he not be, growing up looking like that? He probably didn’t even notice anymore. “I’ve been reading Brent’s body language. He’s not here voluntarily, is he.” It wasn’t a question. 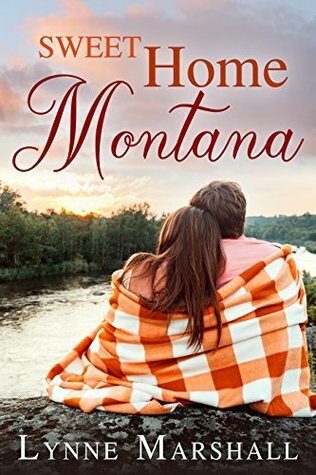 Sweet Home Montana is a read to snuggle up with in front of a fire or under that plaid flannel blanket. Get ready for a little romance this fall." He glanced up. Rather than answering, he tipped his chin up, as in yes. “What’s the point of this place? Why should I come here?” Brent asked. "I really enjoyed Erin and Wade’s story, and was rooting for them to work things out from the very first page. The complications along the way were believable, and though resolved a bit easily, everything was still plausible. 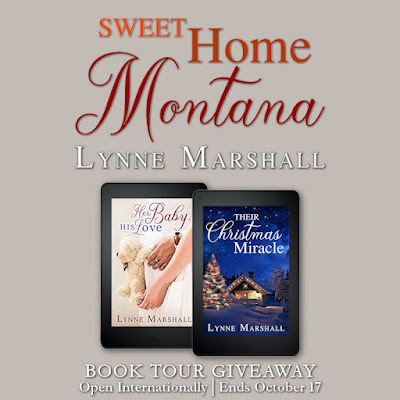 The secondary characters–including Brent, Rosie, and Diana–made the story feel well-rounded and Charity, Montana seem like a place I’d love to visit–and eat some pie." "I enjoyed this sweet story. I felt connected to Erin Chase from the start. I love that she worked at a horse therapy center. What a unique profession!" "This book is gentle and sweet. Erin and Wade are wonderful." Wade stood in the back in the main house as the video history about Healing Heart Acres and equine therapy played. Instead of paying attention, he thought about how he’d wound up back home. After a long pause in communicating with his father, Wade’s excuse being he was too busy, always too busy, his dad had called, and Wade had thought the worse. “No, Son, everything’s right, I mean great. It’s been ages since we’ve talked.” So true, and unacceptable, and that made his calling suspicious and Wade’s guilt-o-meter whirl. 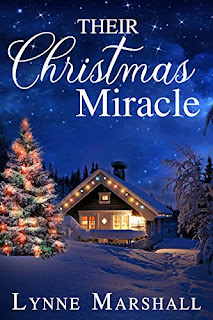 "This is a sweet & cute romance set in more than one delightful small town with gorgeous scenery "This is a sweet & cute romance set in more than one delightful small town with gorgeous scenery and a quirkiness apparently inherent to Montana. . . . these characters will quickly win you over, and so does their story – thanks to Marshall’s warm writing voice and sweet plot. If you’re a fan of Hallmark movies, this is a great pick for your reading list!" Entrepreneur Wade Conrad is called home to act as a temporary guardian for his teenage half-brother, who’s acting out and needs strong guidance. Wade feels they are both floundering, so he seeks help for Brent at Healing Heart Acres, an equine therapy center. Erin Chase has been working as an equine therapist since her fiancé called off their wedding with no explanation three years ago. She personally enjoys the peace found through animal therapy and believes in passing on the gift. When Erin meets Wade, she’s instantly drawn to his concern for his brother, as well as his kindness and charm. Wade treasures time spent with Erin. They both long for more, but Wade’s leaving for California soon and his brother’s needs come first. Will he take a chance on love before it’s too late? Lynne used to worry she had a serious problem with daydreaming, then she discovered she was supposed to write the stories in her head. A late bloomer, Lynne came to fiction writing after her children were nearly grown. Now she battles the empty nest by writing stories which always include a romance, sometimes medicine, a dose of mirth, or both, but always stories from her heart. She is a Southern California native, married for almost thirty years, has two adult children she is super proud of, is a dog lover, cat admirer, a power walker, and fellow traveler on this wild road called life!